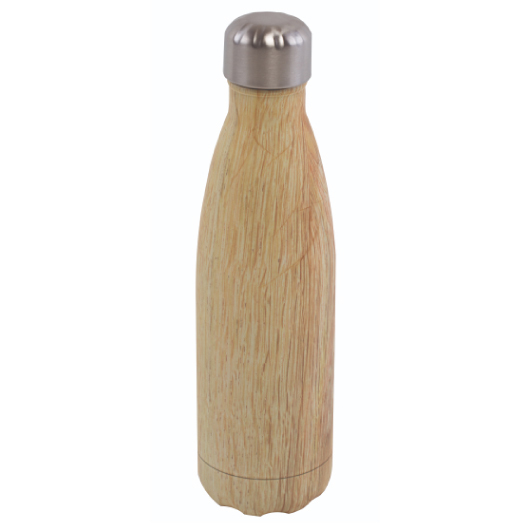 A high quality thermal metal bottle that hosts a wooden look print. Wood you check this bottle out! It features a double wall thermal build and a wood look finish. 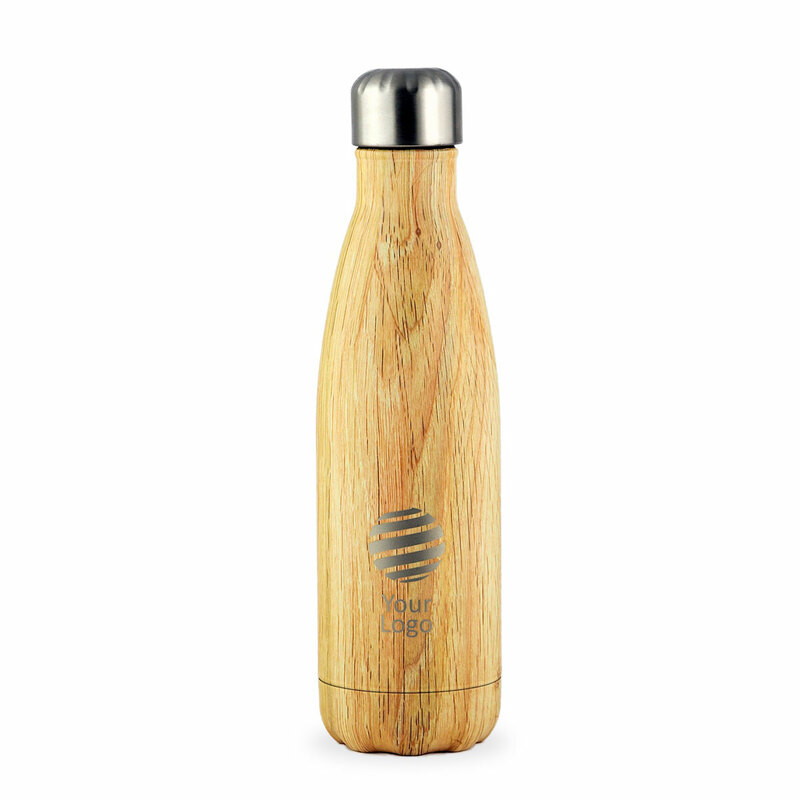 They have a capacity of 500mL and a double wall vacuum build with copper plated inside for superior insulation that will keep drinks hot or cold up to 24 hours. Not only that but it is 100% BPA free so you can be confident in it's safety.